Click Here to see the Glind Original Shower as demonstrated on TV by Pat Callinan's 4X4 Adventures. 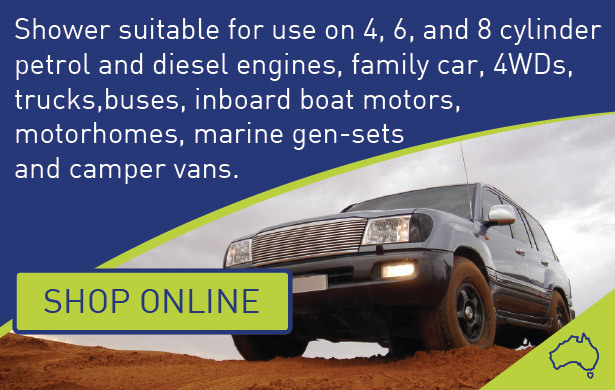 Looking for a premium 4WD camp shower, or a boat shower for your inboard, or a heat exchanger hot water system for a RV, or maybe a Sand Filter for beach camping and don't want to carry space wasting gas bottles and gas systems and flues ....... then ....... go for the safe and ever reliable under bonnet, time proven Glind range. 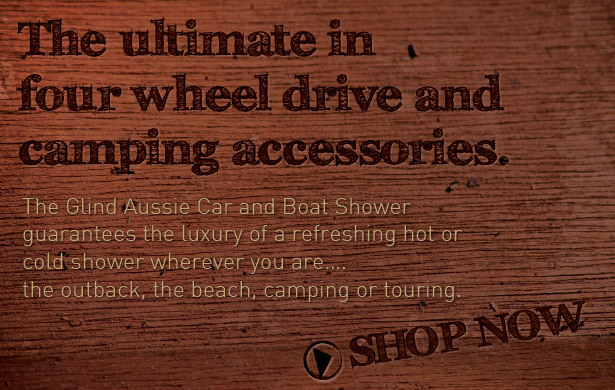 Welcome to glind.com.au – the home of the GLIND Aussie Car and Boat Shower, the original portable camping hot water shower systems. Our individually hand made range of heat exchangers and sand filters to suit 4WD, RV, camping and marine applications, hot camping shower systems, portable cold water systems, Flojet pressure pumps, have kept camping and outdoor lovers covered for over 30 years! Tough enough to take on the harsh Aussie outback, our range, which is built to marine grade standards, has stood the test of time and will serve you well year after year, no matter where you are! ...."I am just writing to give you a big "thank you" for your heat exchanger!!! We just returned from our holidays and it has been a real pleasure to be able to have a hot shower at the end of the day. We had almost given up with the possibility of having hot water onboard: most of the systems were too bulky and complicated for our boat. On the contrary, your heat exchanger fit neatly in the engine compartment. Thank you very much again; be assured that I will tell anybody who asks me about what I consider to be the best heating system. Kindest regards...."
"... My husband bought a Glind hot water system for our Landcruiser well over 10 years ago, when we first started travelling Australia. Over a decade later and it still works a treat and has made camping so much nicer, being able to enjoy a hot shower at the end of a long & dusty/sandy/fishy day.Thank you for a quality product! Unfortunately we will be selling our much loved Cruiser soon thanks to 2 children being added to the family but will definatly be purchasing a Glind for our Prado in the near future. It's so nice to have bought a quality product that has stood the test of time. Again, thank you!..." 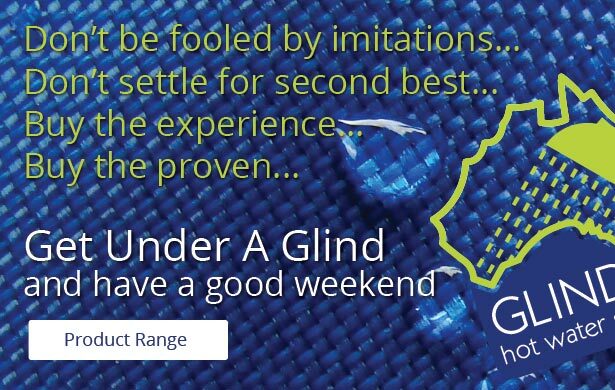 So, if you’re looking for a hot water system for your car, 4WD, RV, motorhome or boat, the Glind range of camping hot water and portable shower systems is for you! For all customers outside of Australia who wish to purchase, please email us directly to receive an individual quote, which will include the cost of the goods (excluding Australian Taxes), Express Post International and Insurance. All export orders are done through PayPal for your added security.